A LOW STARCH & LOW SUGAR FEED, specifically designed for horses prone to issues such as tying up and gastric ulcers. It contains mycotoxin binders and has a high fibre content to aid and promote gastrointestinal health. 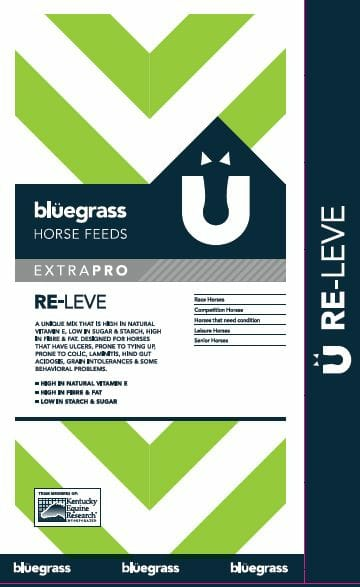 Re-Leve provides a slow release energy source for improved stamina, it is fortified in Stamm 30 and Equi-Jewel®. Stamm 30 provides high quality protein, vitamins and minerals, with the inclusion of yeast to promote gastric health. Equi-Jewel® is a high fat rice bran to increase the energy density of the diet and promote weight gain. Studies conducted by Kentucky Equine Research investigating the effect of Re-Leve on recurrent external rhabdomyolysis (RER) suffers, showed horses which were fed Re-Leve, have lower serum concentrations of creatine kinase (reflects muscle damage), post exercise to those fed high starch diets. 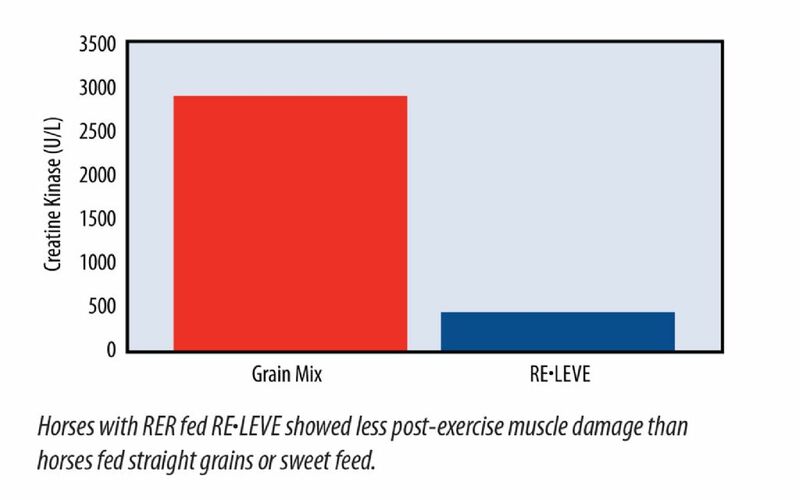 The study concluded that horses fed on Re-Leve showed less muscle damage post exercise.